Enjoy the relaxed, natural beauty of your surroundings at Sandy River in the Wind Song Glamping Tipi. 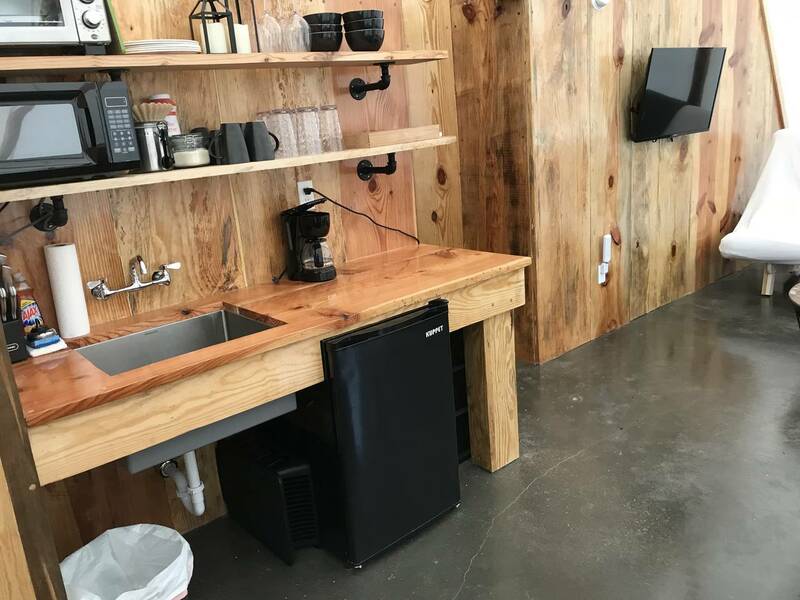 Spacious and fully furnished, you will feel pampered while connecting with the outdoors. 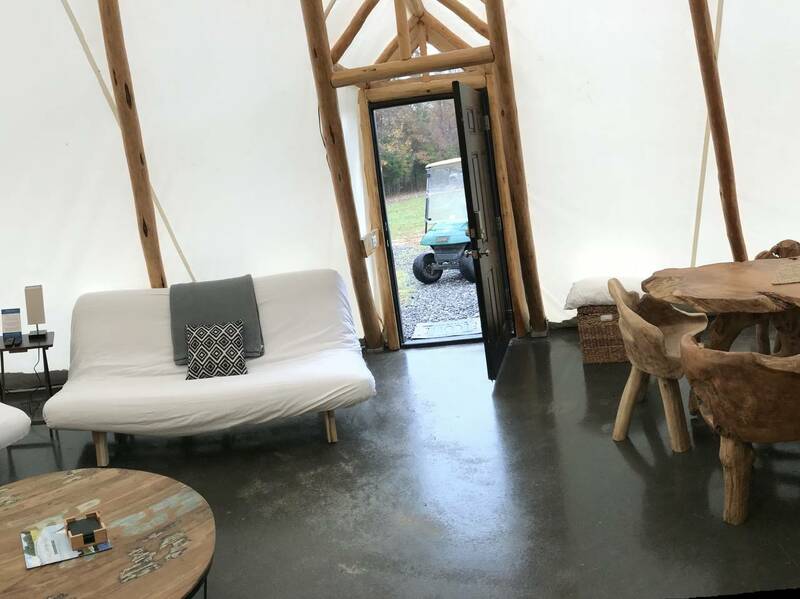 This tipi comfortably sleeps six people and features an open floor plan including a queen size futon sofa bed, a full size futon sofa bed and a private, separate bedroom with a queen size bed with memory foam mattress. 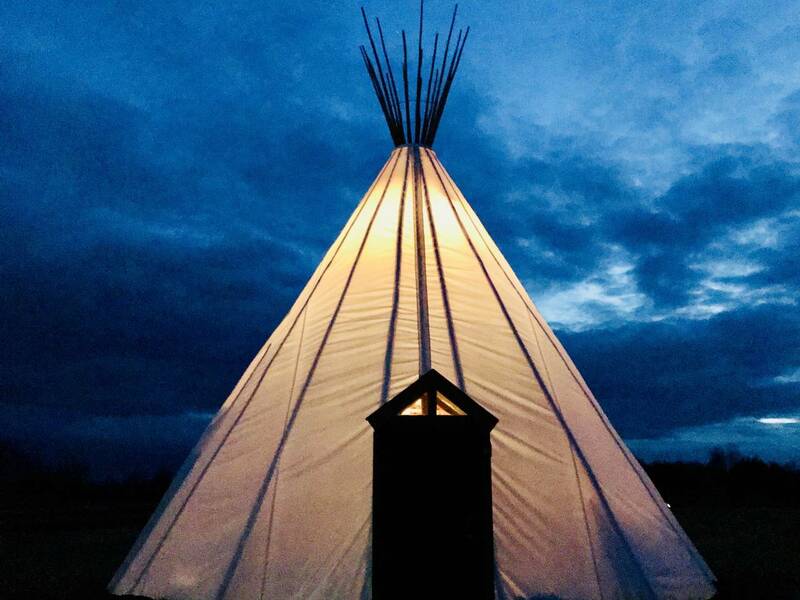 Complete with air conditioning, radiant-heated floors, full bathroom, kitchenette, Wi-Fi and TV, a stay at the Wind Song Tipi is far from a “roughing it” camping experience. If you crave the luxuries of an upscale hotel accommodation combined with the escapism and adventure-recreation of camping, the Wind Song Glamping Tipi will exceed your expectations.